With which wiper blades can I use ECOCUT pro? ECOCUT pro works on all well-known wiper blade brands, such as Bosch Aerotwin, Bosch Twin, Bosch Basis, Bosch OEM, SWF Visioflex, SWF Duotec, SWF Das Original, SWF Visionext, SWF OEM, Valeo Compact, Cartrend, Champion and many more. It of course also works on the original wiper blades of VW, Mercedes-Benz, BMW, Audi, Opel, Seat, Ford, Renault, Peugeot, Honda, Toyota and so on. How often can I cut a wiper blade? The ECOCUT pro is equipped with two guide slots, which means a wiper blade can be cut 2 times. How often can I use the ECOCUT pro before the blade becomes blunt? Depending on the type of wiper blade, the rubber mixture and amount of hardening, the blade can be used for up to ten pairs of wiper blades. Is it possible to do something wrong when using the device? During development, we placed a great deal of importance on ease of use. To see how easy it is to use, simply read the information here. What has ECOCUT pro to do with the environment and resources? The replacement of wiper blades each year produces tons of special waste. With ECOCUT pro you can extend the service life of your wiper blades and thus make an active contribution towards protecting the environment and resources. Where is ECOCUT pro manufactured? 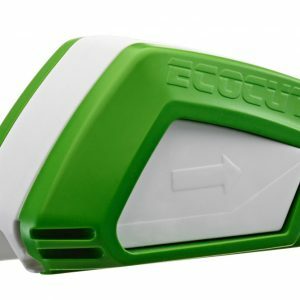 ECOCUT pro is 100% Made in Germany! Please insert your order number if you have questions about your order. You can find it in the “order complete” email.